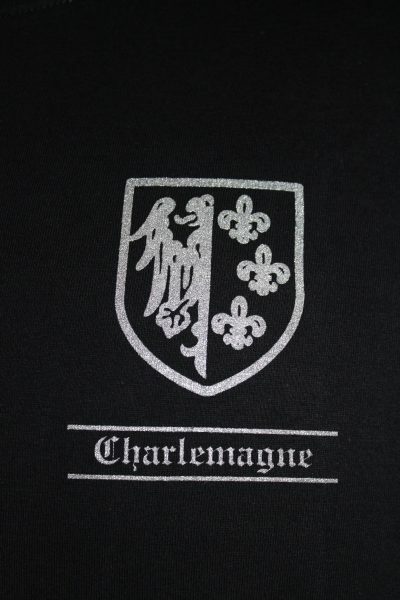 The 33rd SS Division Charlemagne T-shirt is a single sided print in black. Front Design Only: Left chest insignia of the 33rd SS Charlemagne Division screened in silver with text. 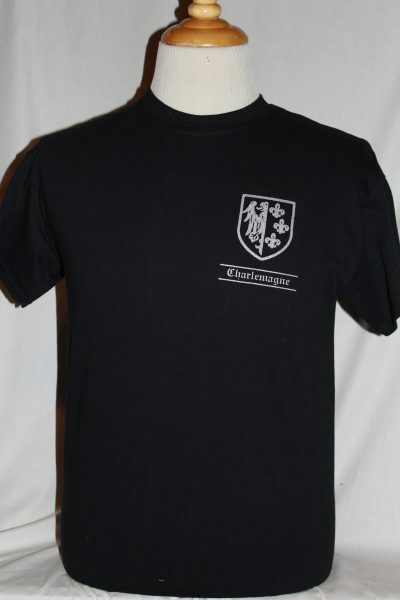 Commemorates the seven to eleven thousand French Volunteers that served in the Wehrmacht and SS divisions.